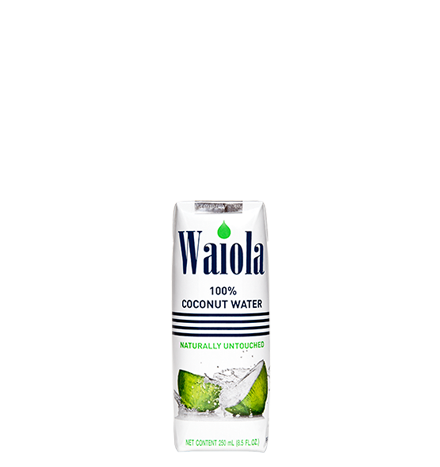 In October 2012, Waiola launched as the first coconut water in Japan with our flagship 250ml Tetra Pak with a straw. Reflecting the purity of Waiola’s coconut water is the branding package, which was designed by eclectic tastemaker Jun Takahashi. Takahashi designed the four navy bars on the 250ml Waiola Tetra Pak to represent the key benefits of our coconut water: low sugar, high potassium, no preservatives and Non-GMO Project verified. 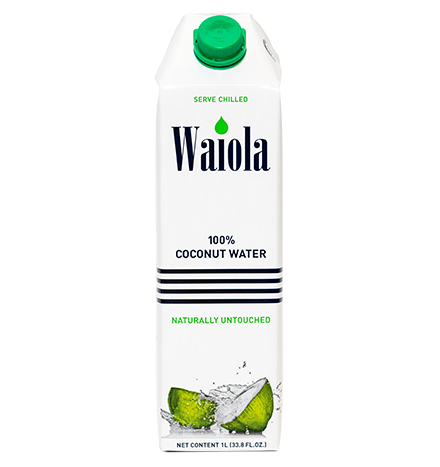 The Waiola 1 Liter comes in a Tetra Pak Prisma with a resealable dream cap that is is ideal for creating coconut water-based beverages and food recipes. The tall and sleek 1 Liter is perfect to keep in your refrigerator to drink our naturally untouched coconut water throughout the week. It’s also the perfect amount of hydration for a hike or day-trip. 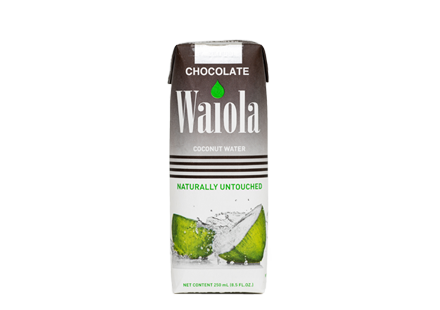 Our founder had his first born in mind when creating Waiola chocolate coconut water. Knowing his daughter would one day crave sweets, he formulated a recipe with a great taste profile, but low in sugar and high in potassium. With only 11 grams of sugar and 750mg of potassium per 8.5 fl. oz. serving, the team was able to create a sweet and healthy beverage that people can feel good about giving to their children. 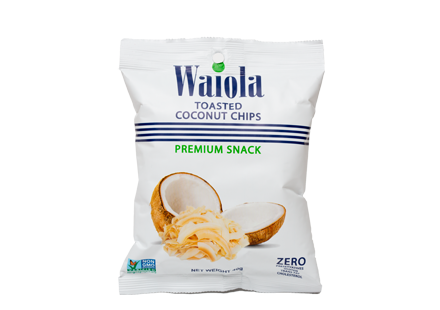 Waiola Coconut Chips are thinly sliced, roasted, never fried, and lightly seasoned with sea salt cultivated from Moloka‘i. Our coconut chips is a good source of fiber, gluten free and vegan friendly. Also, our chips is a healthy addition to foods such as salads, yogurts, acai bowls, etc.